We get a lot of questions for mobile home plumbing problems like slow drainage, foul odors, and backflow. 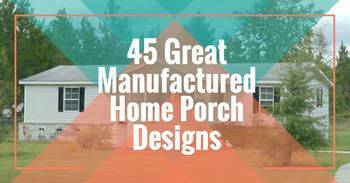 Some of these issues can be fairly easy fixes for a homeowner with average DIY experience. 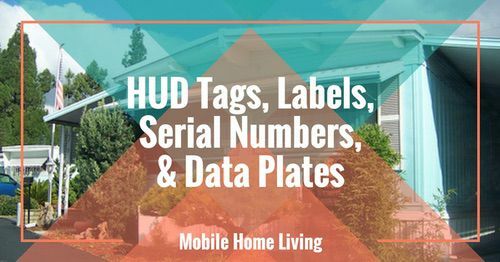 With the information below you should be able to better pinpoint what is causing your mobile home plumbing problem, why it’s happening, and what needs to be done to fix it. You can learn more about manufactured home plumbing and drainage and ventilation issues here. 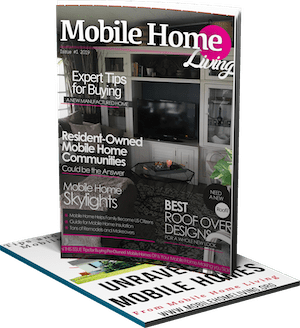 We also have an article about the basic of plumbing In manufactured homes. 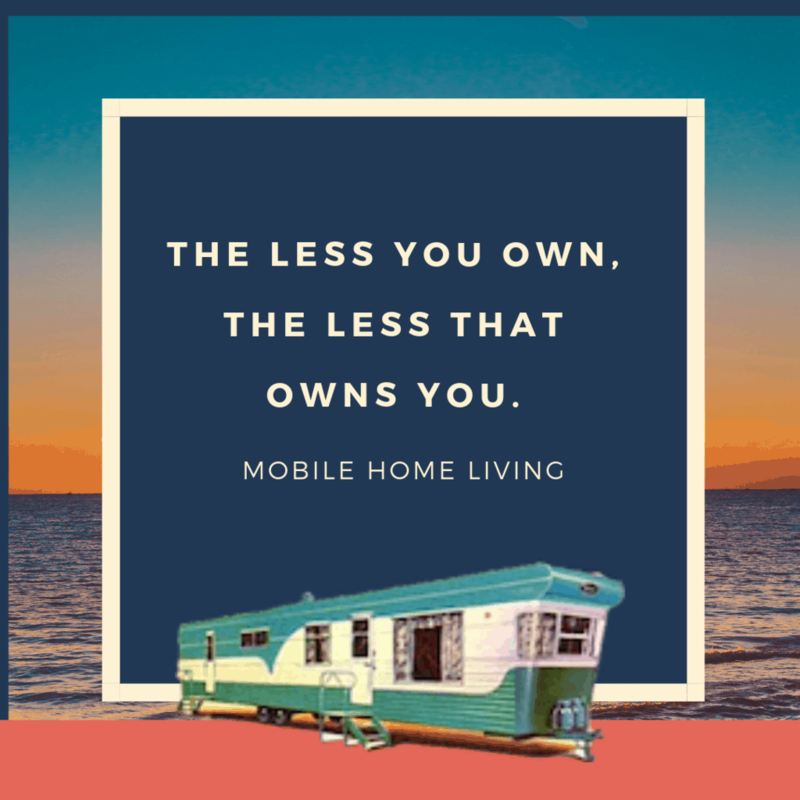 Mobile home plumbing problems are common for a couple of reasons: the materials used in the system are usually made of plastic or softer metals because they are lighter and more affordable and the pipes are smaller and not as securely placed as pipes in a site-built home. We’ve seen pipes just laying under cabinets more than once. Poor ventilation is another big reason for many mobile home plumbing problems. Most homeowners know about their home’s water supply lines and drainage lines but aren’t so familiar with their plumbing’s venting system. In fact, the majority of questions that we get from readers usually involves either a stoppage or a venting problem. 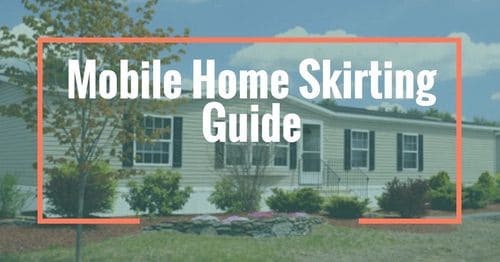 Read our first Ask a Mobile Home Expert article about venting issues and sewer smells here. We cover the 5 common mobile home plumbing problems below. We attempt to explain what causes the problems and what you can do to fix them. Thumping can occur when water is running or when it’s draining. Hearing thumping in your walls can be a bit scary. Oftentimes, homeowners won’t even associate the thumping they hear with water or plumbing. Thumping sounds are a sure sign that a mobile home has a ventilation issue supply and drain lines. If you do hear thumping while water is draining it is likely a ventilation issue. Unfortunately, venting issues are complex and in the majority of cases, you will need to call a professional. With that said, you can do a couple of things so we’ll get you pointed in the right direction so you save time and money and can hopefully get everything fixed in one call. When you hear thumping when a sink or washer is being drained you probably need to strap your drain lines better under the house. If you hear thumping when your water is running it is likely from your water lines not being strapped properly and it happens a lot. In lots of older mobile homes, you’ll find water supply lines run through cabinets or floor joists without straps. There is a product called hammer arresters that will help but a plumber will need to install it. This Family Handyman article can explain more. A slow drain in a bathroom sink will probably be hair build up on the popup. Check the drain plug and the metal bar attached to it. Snakes come in many different sizes but they all work the same: they snake through the drain line and pull or push clogs through. Hand snakes are great tools for a homeowner when there’s a small clog but there are some commercial snakes that professionals use that will clear anything. You can buy a hand snake for less than $30. This snake is available at Amazon for $26. 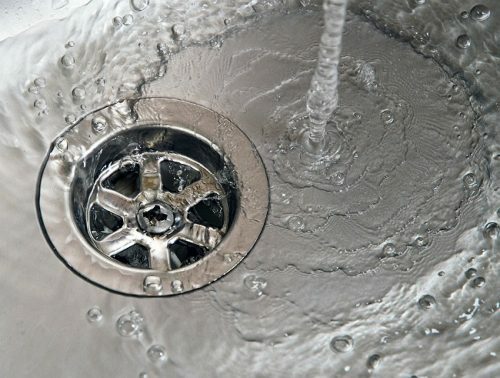 Click here to learn more about unclogging a drain. Be sure to snake out each point that you are experiencing issues. When water flows into the tub after flushing a toilet you are likely experiencing a clog in your drain line. It backflows into the tub because your tub is the lowest point in your system. Water levels out and always find the lowest point first, that is usually a bathtub in a mobile home. 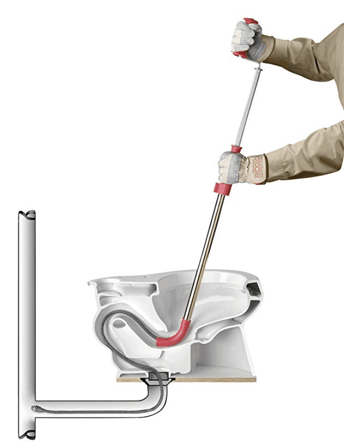 Toilet Auger clears clogs easily. 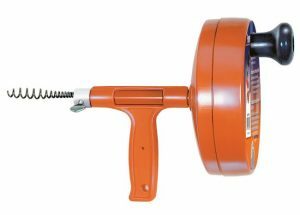 To fix backflow issues that occur after a flush, you will need to use a closet auger. These are similar to a sink snake we mentioned above. It’s essentially a cable and rod system that works together to drill a clog out toward the sewer. If you aren’t dealing with noise, smell, or other issues it’s probably just a stoppage. Read our mobile home bathroom guide here to learn more about mobile home bathtubs. If the backflow problem is not caused by a stoppage, you may have a ventilation issue. Try adding an additional vent for the master bath sink, tub, and toilet (tie them together on a single waste line). Another issue could be poor grade on your drain line. You’ll want to get the T-branched and graded properly. 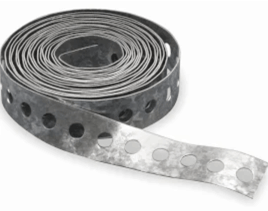 You need 1/8″ of a grade for every foot of pipe (if it is 3″ or 4″ pipe). Also. make sure it doesn’t have any dips in it. You’ll want to strap or hang it every 4ft, if possible, or build a stand every 4ft to keep a steady percentage of fall to the sewer tap. Foul odors can be caused by several things but it usually always means something isn’t working as it should. The most common is a bad auto vent. Older auto vent springs may stop closing themselves off properly which allows the foul odor through. Wax ring under your toilet will be leaking but won’t be visible. If this is the case, unfortunately, sewer water is slowly building up under the home. A partial clog could be blocking a vent that is causing water in your sink traps to be sucked out. A dry P-trap allows the smell to come through. If it’s coming from the drainage/waste line you probably just need to snake it out really well. You could have a drain pipe pulling apart and allowing leakage to collect under your home. Low pressure in a mobile home is usually going to be an aerator clogged in your sink screens. 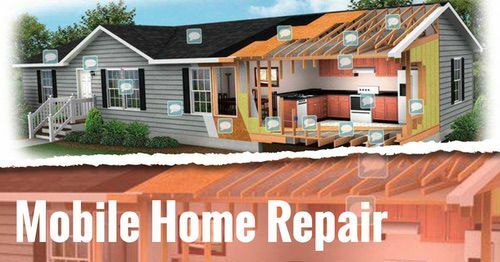 A quick clean or an inexpensive replacement should fix the problem. 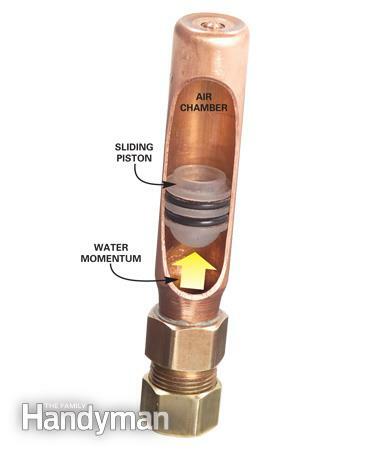 Pressure reducing valve may be partially clogged. There are valves, filters, and screens that can get dirty or clogged in several places throughout a plumbing system. Be sure you understand where they are in your home and know how to clear them. If you have galvanized supply lines slowly close off with mineral buildup which causes low pressure. Replacement is about all you can do if this is causing a mobile home plumbing problem. Leaks aren’t just mobile home plumbing problems, they are common in all homes but because mobile homes tend to have cheaper materials they can be more common. Shower head leaks are a common mobile home plumbing problem. Moving a shower head around causes leaks that only occur when water is being run through the head so homeowners don’t catch them until water damage appears on the wall or floor below. Fixing it will require a professional so it’s important for homeowners to be aware of the problem and keep an eye on the shower heads. Faucet leaks in the kitchen are usually from the connectors where the faucet attaches to the main supply line. In mobile homes, these connectors are made of plastic which loosens up over time. They can get bumped under the sink a lot, too. See how this mobile home bathroom wows. We have an entire article dedicated to frozen pipes in mobile homes because I suspect it is the absolute most common mobile home plumbing problems in the nation. These 5 mobile home plumbing problems are fairly common in older mobile homes but they occur in newer manufactured homes, too. Inspecting your mobile home is important regardless of the age. 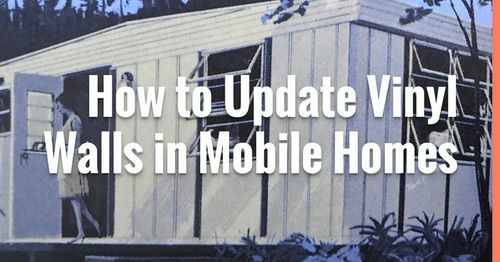 Use this mobile home safety inspection checklist as a guide at least twice a year. Being a proactive homeowner is vital for a healthy home. We should all inspect the entire plumbing system at least twice a year. A thorough inspection includes going under the home with a light and looking for loose pipes, drips or pools of water, and foul odor under your home. Inspecting the walls and floors around your sinks, tubs, and toilets can save you a lot of headache in the future. Feel for wetness or softness. If you store stuff under your sinks make sure you stay away from the pipes. 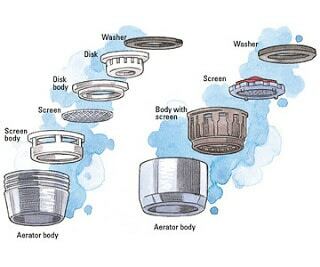 Finally, you should make it a habit to check your sink aerator screens when you replace your furnace’s filter. That’s our 5 most common mobile home plumbing problems and their causes and fixes. 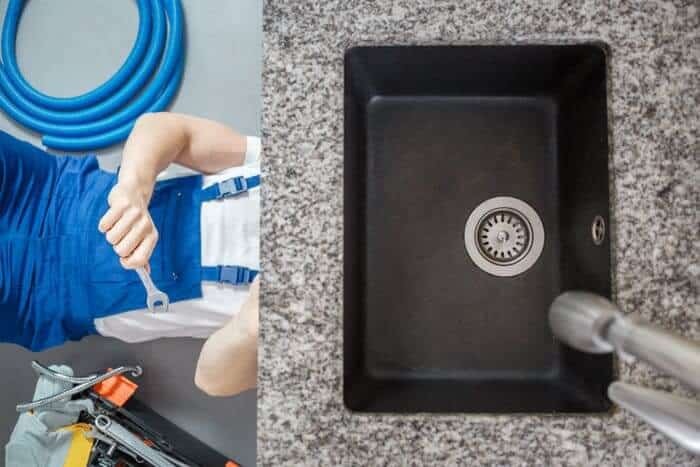 While you should always call a professional before you do anything extreme, you may be able to save yourself a little money by doing the simple things like snaking a drain or cleaning the aerator. I purchased a used mobile home and after installation we found that the drain pipe along with the cover popped up about an inch from the shower floor. Can I just push it back down? It depends. This could signify that separation has occurred. Is there any way you can get under the home and track that pipe? Or at least do a water leak test (drain water and then go under the home and look to see if there’s any water). You’ll need to cut the belly wrap but there are patches and tapes to fix them back. Some times the p-trap is directly under the tub and connected to the sink or toilet so a separation could be bad. You likely have a ventilation issue. You’ll want to make sure your vent pipe coming out of your roof isn’t clogged with something. Then, you need to place an auto ventilation in the sink where the smell is (replace the one you have). You can read about the pplumbing ventilation in mobile homes here. You def need a p-trap. If the home is original there may be an inline p-trap meaning it isn’t right under the tub but closer to the tie-in to the toilet before hitting the trunk line. Also, if possible use 2” to the tie-in (assuming the origittub has 1.5”). I live in a 2010 mobile home with a septic tank. When I use my toilet, I can hear water gurgling. There doesn’t seem to be any water leaking from the toilet. There is a second shower next to the toilet but is not used because there are two bath rooms in the house. We went away for six weeks and when we returned the gurgling started. Any suggestions as to what it might be causing it? I answered your question but then my system said I didn’t so I’ll try again. I think the water in your shower’s p-trap evaporated and that airflow is causing an imbalance in your system. You should be able to get it equalized with by running water in the shower and letting that p-trap get full and balance out and maybe installing an auto vent on that part of the system (sink if it’s connected). Hi. Every time I go to do the dishes way up front. The bathroom gets to smelling like rotten eggs and starts to make the whole trailer smell like it. I have a 1965 Rembrandt. 2br single wide. My pipe drains are along the inside walls. Can you explain? You may be able to add an auto vent in that back bathroom. You basically need a new vent, whether it be auto or a new stack. Best of luck!